If you are a pet owner, it’s likely that you view your pet as a member of the family, a true friend, and a source of unconditional love. Just like any other family member, you want to ensure they have an excellent quality of life and that their needs are taken care of. As your pet enters into their senior years of life, there are numerous factors you should consider, such as diet, pain management, veterinary care, exercise, and eventual passing. Good dietary habits can help ensure your pet lives a longer and healthier life. 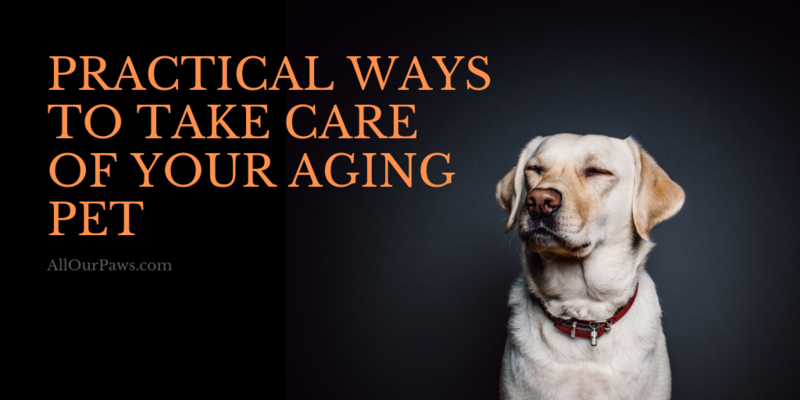 A diet full of anti-aging nutrients and vitamins especially made for aging animals can prove to be easily digestible, control their weight, and give them a little pep in their step. Your older pet will be less active, which means they will also need fewer calories. Obesity in pets can lead to joint problems and diseases. Make sure their calories count — by being rich in good fats and vitamins — and that their specific needs are met. While diet, exercise, and routine veterinary care are essential, your pet may need a little extra care to manage their pain. Some pet owners have achieved success using cannabidiol (“CBD”) oil to manage joint pain and inflammation, skin issues, anxiety, and phobias. Not all CBD oils are of the same quality, so looking at this 2019 buyer’s guide can help you choose which oil may be the best fit for your pet. Before administering a dose, however, make sure to check with your veterinarian to discuss CBD oils and what it can do for your pet. As your pet ages, they will need increased veterinary care to manage their health and to be proactive in catching diseases. Many diseases are hidden or not readily apparent but will reveal themselves over time. The earlier the disease is caught, the quicker you can treat or eliminate the problem. Your pet probably is seen by the veterinarian one to two times a year, which may need to increase depending on their age and health. 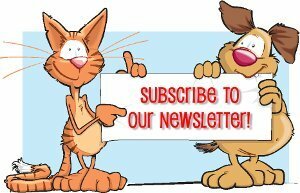 Your veterinarian will ensure they have all the proper shots and medication, keep track of their weight, keep their teeth clean (when applicable), and be able to suggest a healthcare regime to keep your pet in their best shape. At all ages and for all species, exercise is crucial. For animals, proper exercise will maintain healthy joints and muscles. As your pet ages, their limitations will increase. Therefore, you will need to frequently reassess their capabilities and adjust the kinds of exercise they do to meet their limitations and potential. While your pet may not be as spry as they used to be, they still require exercise for mental stimulation, weight control, and healthy joints. Many people find that while it’s hard to say goodbye to their faithful pet, the grief they experience is stronger than anticipated. As your pet ages, start preparing to do what is in their best interest. If you find you may not be able to communicate healthcare decisions for your pet, consider turning to someone you trust to help you make choices. Plan ahead by educating yourself of your pet’s condition and what they are feeling. If you find yourself having difficulty navigating grief after your pet passes, consider online bereavement programs to help you heal. Your pet is your family, and they deserve the best life possible. Just like in all stages of life, diet and exercise are key to the management of weight, prevention of diseases, and improvement of mental health. Your aging pet likely will need additional veterinary care to catch ailments early, and you should talk to your vet about the benefits of CBD oil. While we would like our beloved animals to live forever, their time will come. As they age, take moments to mentally prepare.